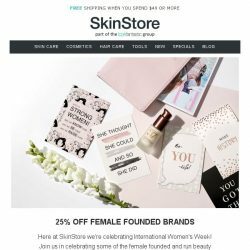 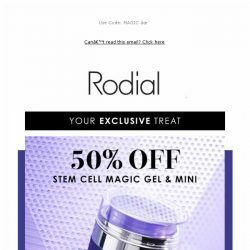 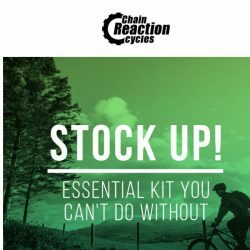 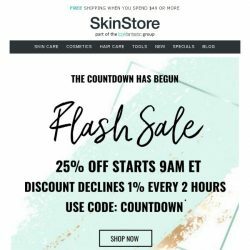 [SkinStore] International Women’s Day Deals! 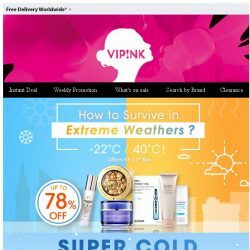 [SaSa ] 【Extreme Weathers?】Learn how to survive in -22ºC or 40 ºC! 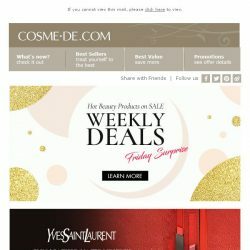 Fans of the Korean beauty brand Laneige, you can't miss this mega sale! 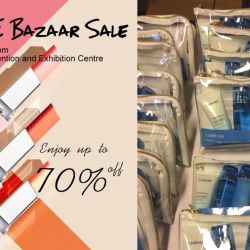 Get up to 70% OFF your favourite Laneige skincare and makeup products at Laneige Bazaar Sale this weekend! 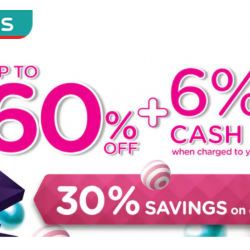 Happening at Suntec Singapore Convention and Exhibition Centre, jio your family and friends now! 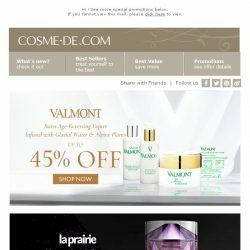 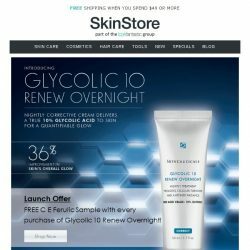 Guardian: Enjoy 30% OFF All Skincare In Stores & Online! 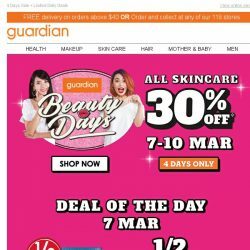 Beautiful skin, all day everyday is now possible with Guardian! 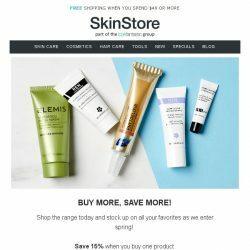 Enjoy 30% OFF ALL SKINCARE from 7-10 March! 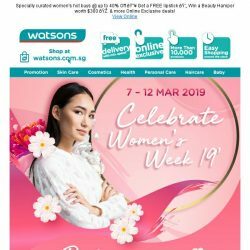 Available at all Guardian stores islandwide and online! 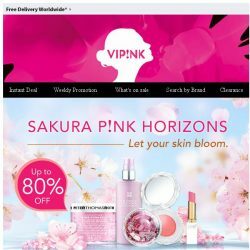 [SaSa ] Bloom Your SK!N Experience the P!NK Blossom! 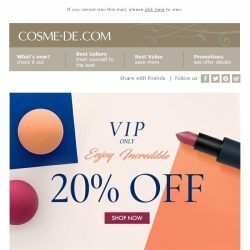 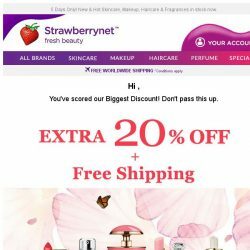 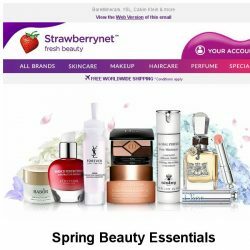 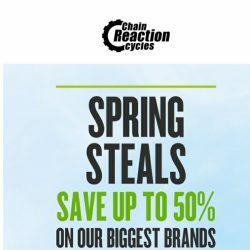 [StrawberryNet]  Spring Beauty Essentials Up to 76% Off! 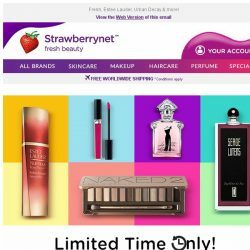 [StrawberryNet] , Live Fabulously. 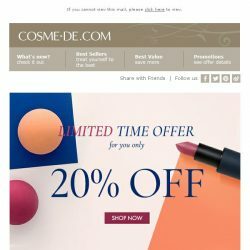 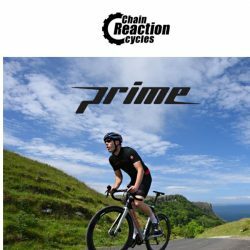 Get 20% Off + Free Int’l Shipping!